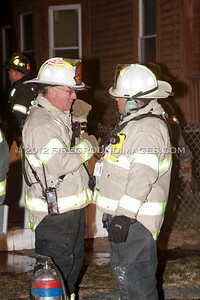 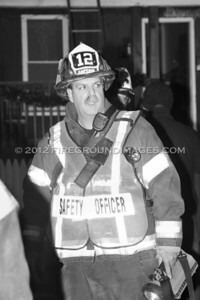 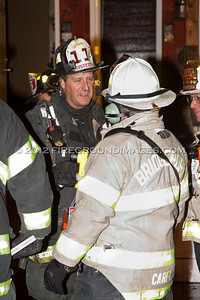 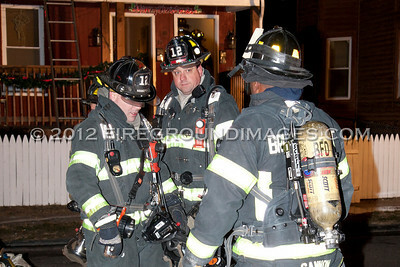 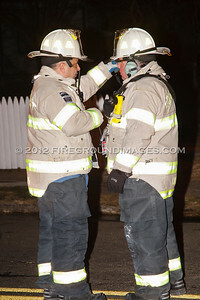 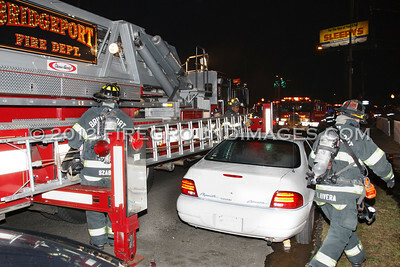 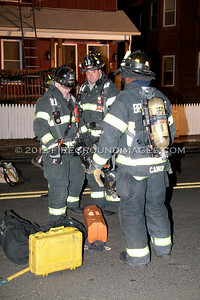 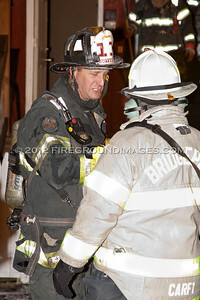 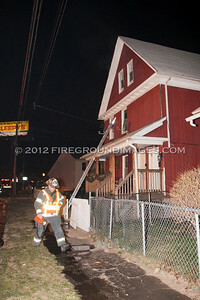 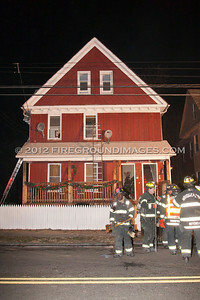 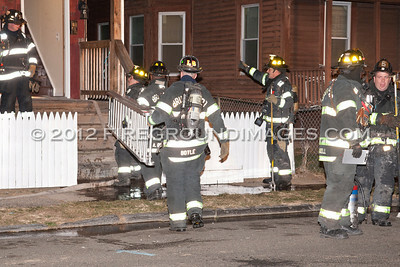 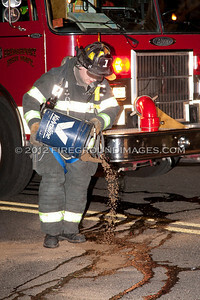 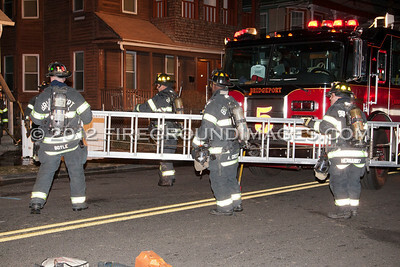 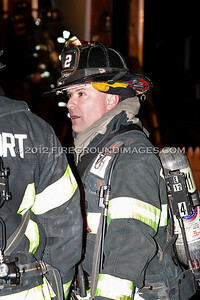 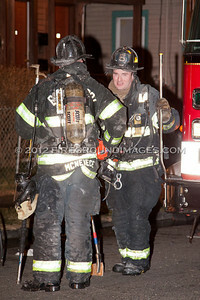 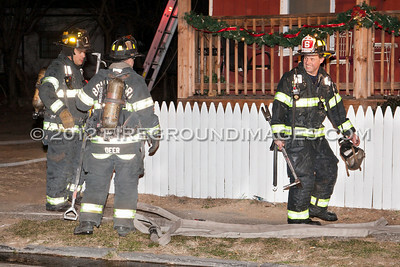 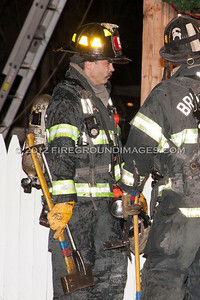 BRIDGEPORT, CT – At 10:11pm on January 3, 2012, with temps in the teens, the Bridgeport Fire Department was taking up from a gas leak on East Main Street when they were re-directed to a reported house fire at 33 Orange Street. 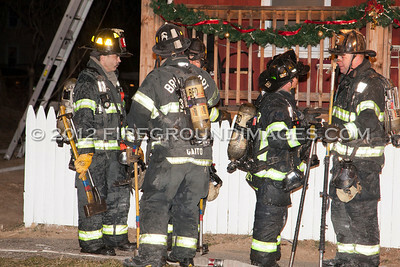 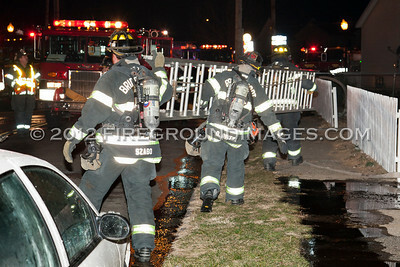 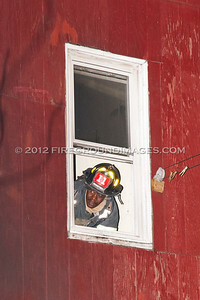 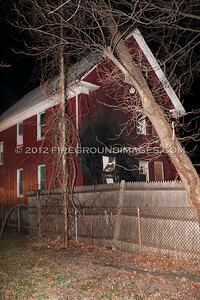 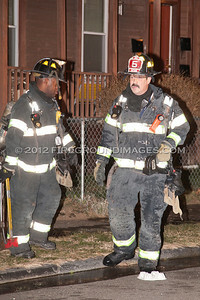 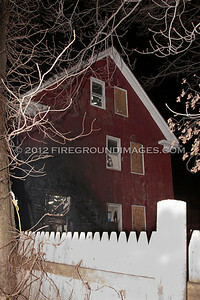 Battalion 2 was first on scene reporting a 2 ½ story wood frame with heavy fire showing from the rear. 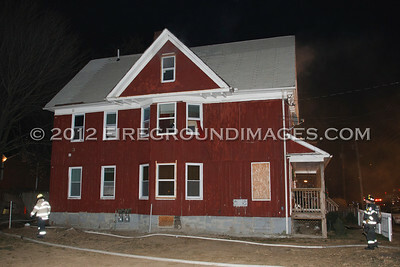 The fire which appeared to have originated on the outside of the first floor in the rear was quickly spreading upward to the second and third floors. 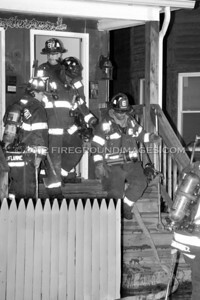 After an aggressive interior attack, the fire was put in check before causing too much damage to the interior of the house, or spreading to the nearby exposure, which was another 2 ½ story wood frame. 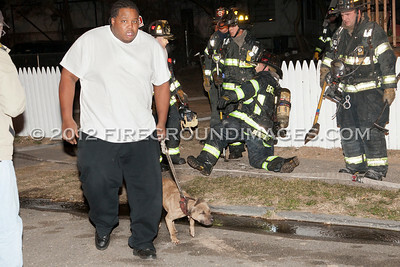 Six residents and 2 dogs escaped unharmed from the house fire, and a third dog was chained in the home and needed to be rescued by firefighters.